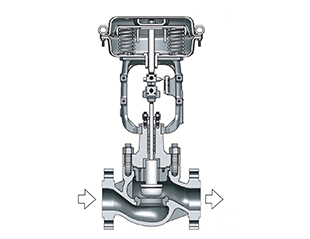 Model TT-HPS Top-Guided High-Pressure Single Seated Control Valves are design for high temperature, high-pressure services. 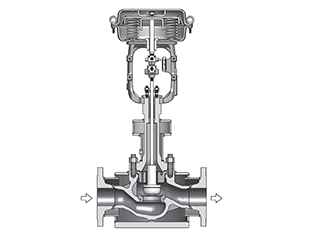 The compact valve body, having a S-shade flow passage that features low-pressure loss, allows a large flow capacity and range ability. 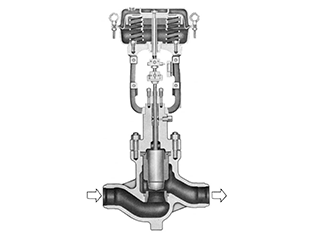 The valve plug is highly vibration-resistant as it is held by a top guide section which has a large sliding area. 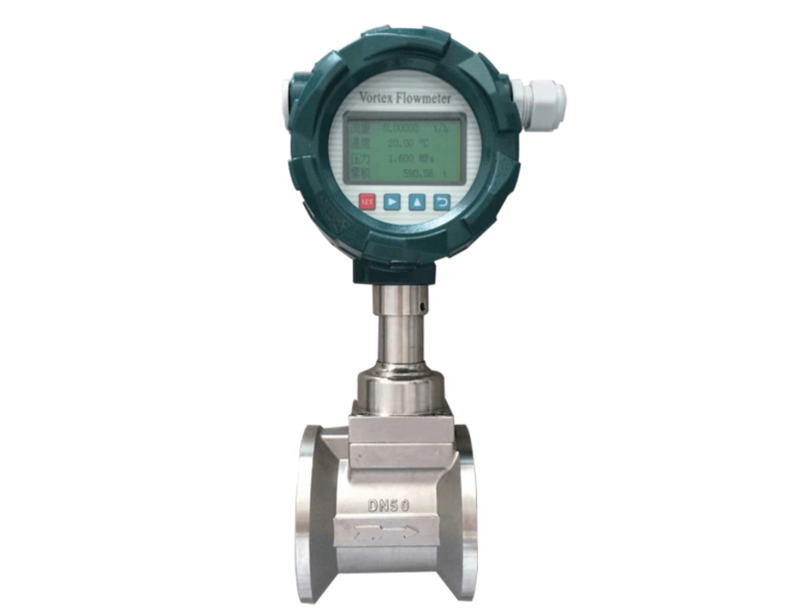 The flow shut-off performance complies with the ANSI Standard. 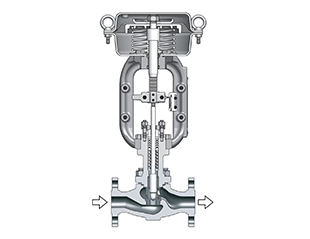 The actuator integrated with simplest mechanisms utilizes a compact yet powerful diaphragm actuator loaded with multiple springs. 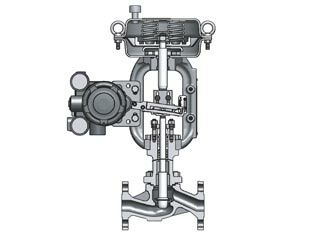 The HPS Valves are widely applicable for reliable control of high-temperature, high-pressure process lines. For body/trim material combinations and operating temperature ranges, refer to Table1. Note) Take care not to exceed the operating temperature ranges specified for respective materials.